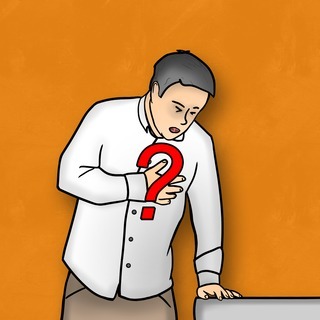 What Does Low Risk Chest Pain Really Mean? This study narrows in on how we can identify define low risk with chest pain. Normal EKG, normal vitals, negative troponins- very low risk for major adverse event in the next few days. Why why why would anyone ever admit someone with a low risk story, normal ECG, normal vitals and normal markers? What's wrong with the USA? You mention: A study by James found that patients admitted to the hospital had an incidence of iatrogenic death of 1 in 160. I don't think this study said that. If the 160 NNH figure comes from the 0.6% mortality rates (the lowest estimate), I think was referring to mortality as a percentage of the adverse events. ie you'd need to know the percentage of admissions who experience adverse events before multiplying this by 0.6% to get the percentage of patients admitted who died as a result of iatrogenic means. You are correct! You are correct that this is actually not iatrogenic deaths, but cited in the study as preventable adverse events which contributed to the death of hospitalized patients. This is a tough calculation and I choose the lowest of all the studies cited. The percentage of lethal adverse events was 0.6% with the top 2 being hospital acquired infections and acute renal failure. That is where the number of 1 death in 160 hospitalized patients came from... thx for the clarification! Thanks Mike, by admitting half of our chest pain patients, we are exposing patients to significant risks, not only from hospital complications such as infections, sundowners, DVTs but also the risk of overtesting... not to mention costs to the health care system and costs to the patient such as lost work and time with family. Thx for your comments! Confused about the exclusion of patient diagnosed with NSTEMI - I understand that they did not meet the criteria of CRACE, but discharging them home without intervention increases long-term mortality. References included in article point to the non-emergent strategy for these patients, but seems to selectively ignore the importance on long-term morbidity and mortality with early invasive strategy likely before discharge from hospital (http://www.thelancet.com/journals/lancet/article/PIIS0140-6736(16)31276-4/abstract). The numbers are still extremely low and iatrogenic harm would still be greater, but wonder about the choice for exclusion of these patients. Hi GHS, Our study did not look at treatment for nSTEMI, and did not say these patients were fine, just that they could have their evaluation safely continued as an outpatient (in an expedited fashion). The nSTEMI evidence goes back and forth and before this Lancet article, the common thought was that intervention for nSTEMI was equivocal or harmful (for STEMI it is definitely helpful). Still, extrapolating out the Lancet numbers with the 7266 patients we studied and the 28 positive troponins who did not have a CRACE outcome (we are in the midst of a second study looking to see if these trop elevations really were from ischemia) and the marginal benefit from the Lancet study - it would make the number of patients we had to avoid one CRACE pretty astronomical, but definitely food for thought and a great discussion point - Thx for sending this article and for your comments!! How many adult males aged 50 with Chest Pain Diaphoresis Pain down left arm Short of breath with nausea and vomiting have normal serial EKGs and normal serial Troponins. More how many like this are in normal health . Good question - I don't know that we have a good answer for this and I would CERTAINLY be concerned about this presentation... but... what is the risk AFTER the ecgs, trops and vitals are normal? The study suggests it is pretty darn low! The study does not change the concern or the initial work up, just the disposition after testing returns normal - thx for the comment, Ian!